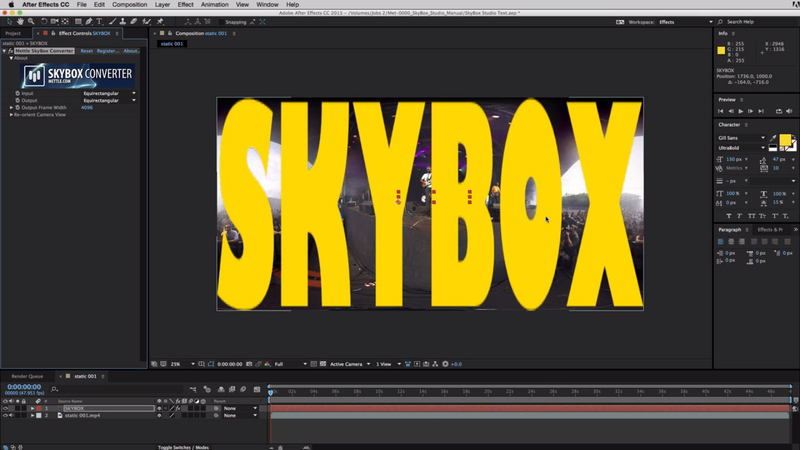 Chris Bobotis (mettle) shows a simple way to add 2D text onto 360 footage with SkyBox Studio in After Effects. 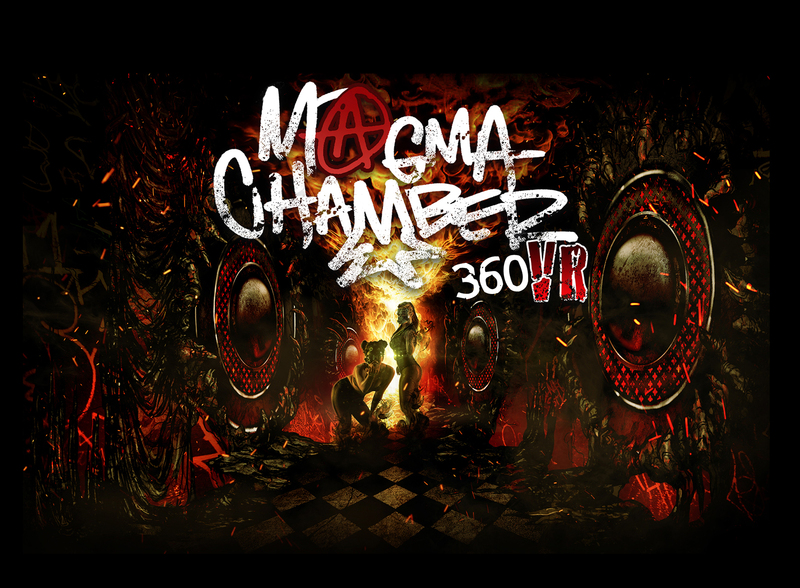 This is a great way to watermark your 360 footage, or add a company or band name onto your 360 clip. 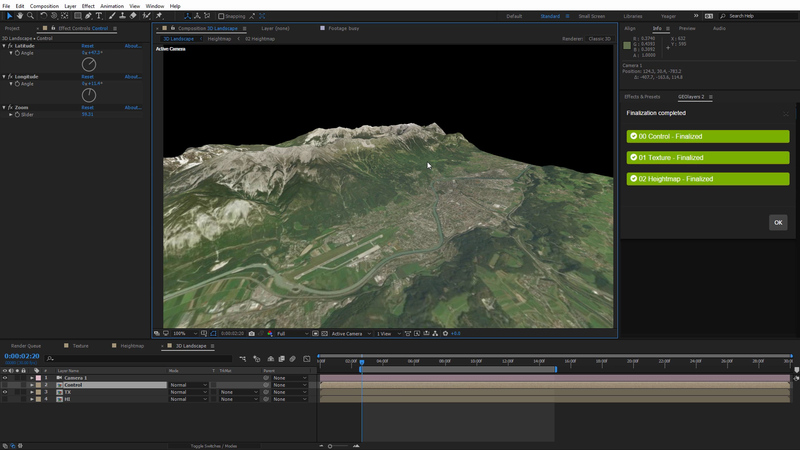 This is but one of many ways to add text onto 360 footage with SkyBox Studio. To add 3D text that looks more integrated with your footage, watch this tutorial. QUICK TIP: Select “Input Source: 2D Source” and your text will display properly. Use “Re-Orient Camera” to animate your text to avoid clipping. 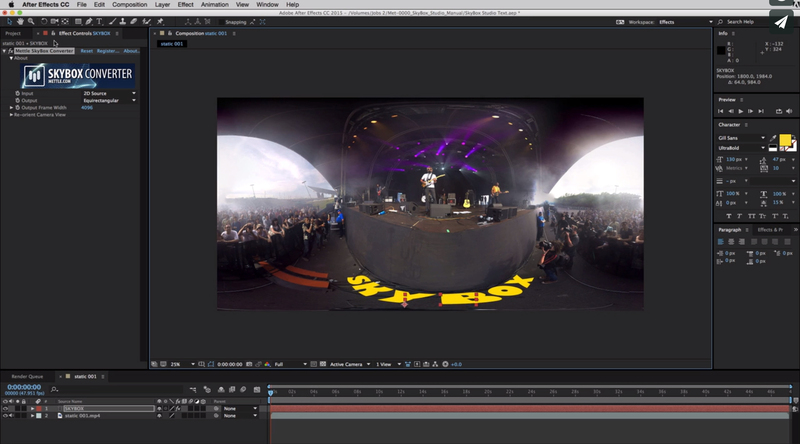 Import your 360 stitched footage into After Effects. 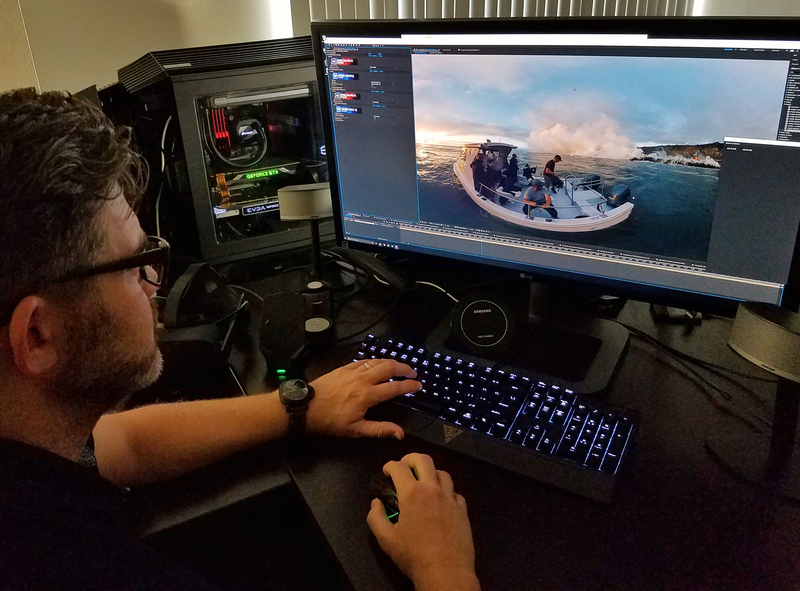 Make a comp with the footage. Add a text layer in your comp, and key in your Ae text. Apply SkyBox Converter to text layer only. Default Equirectangular format will appear. Go to “Input Source” in the Converter Effects window, and select “2D Source”. This will convert the text properly to the Equirectangular format. To animate text, use re-orient camera (X, Y, and Z rotation) to keep the text within your scene, and avoid clipping the text. 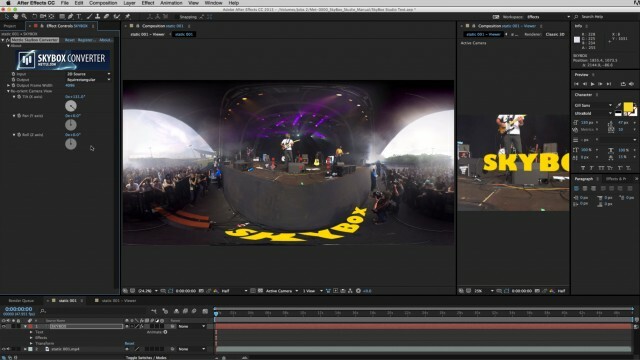 Add an After Effects camera. Now whatever changes you make in your Master comp “001” will also appear in “001-Viewer”, since they are linked together. Lock both comp windows so they appear side-by-side. You can preview your final result in Viewer, as you work in “001”.